Although our emergency after hours and weekend chiropractor services are not a substitute for hospital emergency departments or general practitioners call-outs, it is used for general muscle and joint related aches and pains. This after hours chiropractic service is purely for patients who are relatively sure that their condition could be related to either a muscle injury or a joint strain and therefore benefit from fast after hours chiropractic care. Many patients will have had chiropractic for back pain, chiropractic treatment for neck pain and other conditions in the past and would have experienced similar symptoms which may have been helped by chiropractic. 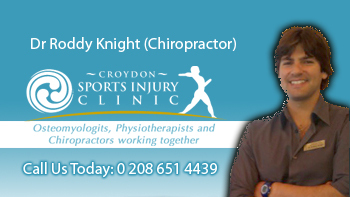 By calling (0208) 651 4439 or 0774 9515 476 you can be sure that our after hours chiropractor will be able to see you. We will generally take a history, take vitals including temperature and blood pressure followed by specific chiropractic physical and neurological examination before giving a diagnosis of your condition. If we feel that your condition is not something that can be helped or treated by chiropractic and that your condition requires immediate medical referral to hospital we shall not delay in helping you get to hospital. By the same token it must also be said that this weekend and out of hours chiropractors service works for patients who need chiro on the weekend or on weekdays when there are no chiro services available. Many of us injure ourselves doing different activities around the garden, in the house or playing sports on the weekend and it can be very difficult finding available physiotherapy or a physiotherapist or chiro open if you need one. Our service helps solve that problem. Please call (0208) 651 4439 or 0774 9515 476 and we’ll assess your back pain, neck pain, joint pain, tension headaches and sports injuries this weekend / public holiday. We’re here and ready to help.